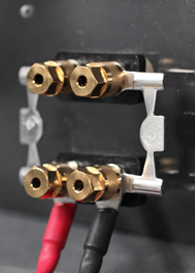 Our economical stamped jumpers (shown on left) are an upgrade from the low quality jumpers that come standard on most speakers. 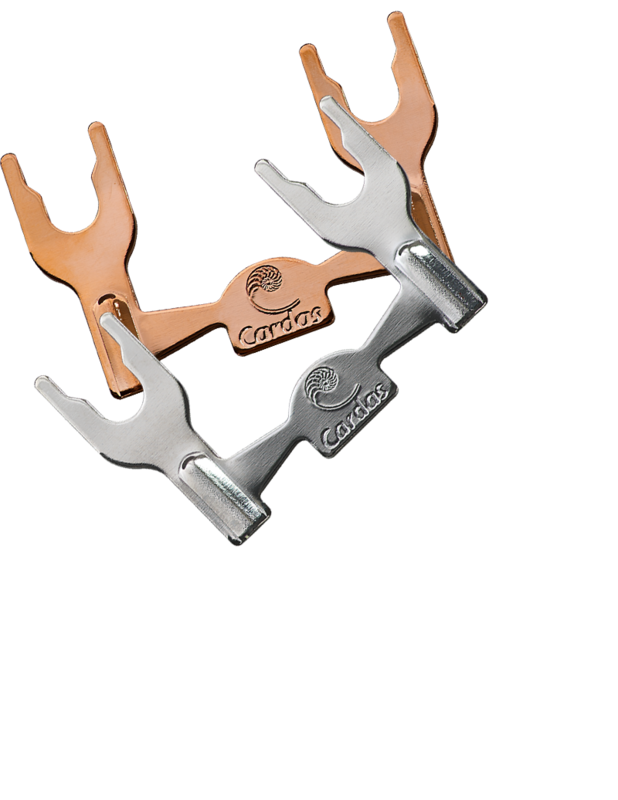 They're available plated with rhodium over silver, bare copper, or plated in gold. 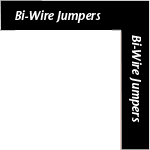 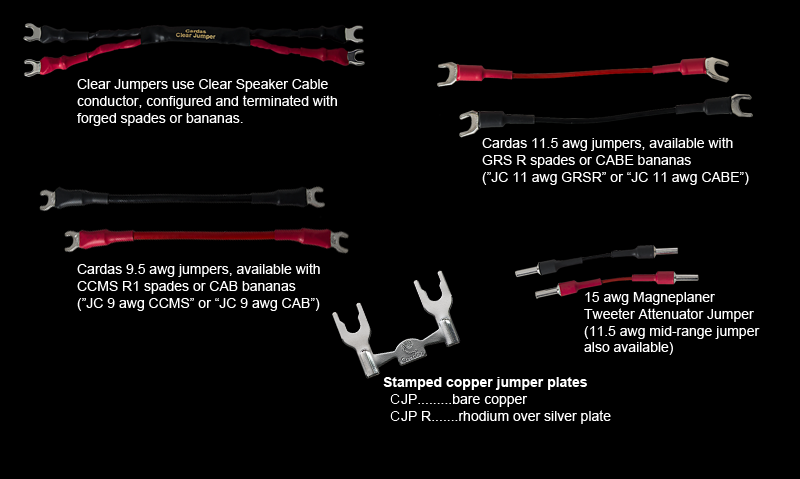 Our premium jumpers feature Cardas chassis wire, terminated with spades or bananas.